The small Guest Bath now has a big walk-in shower with glass block wall and no door, to be used for guests and an occational dog cleaning. 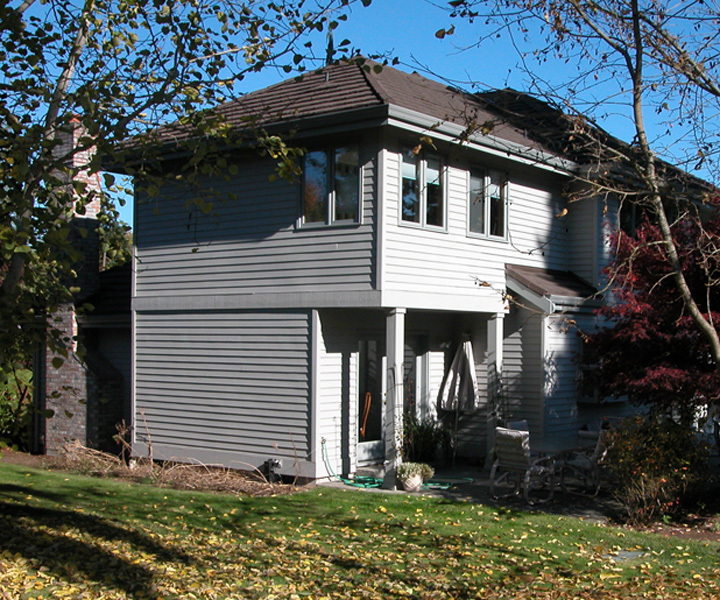 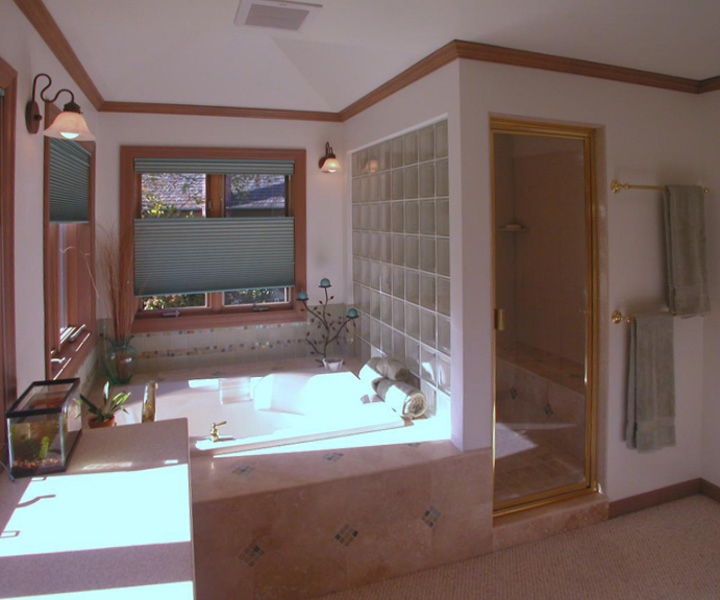 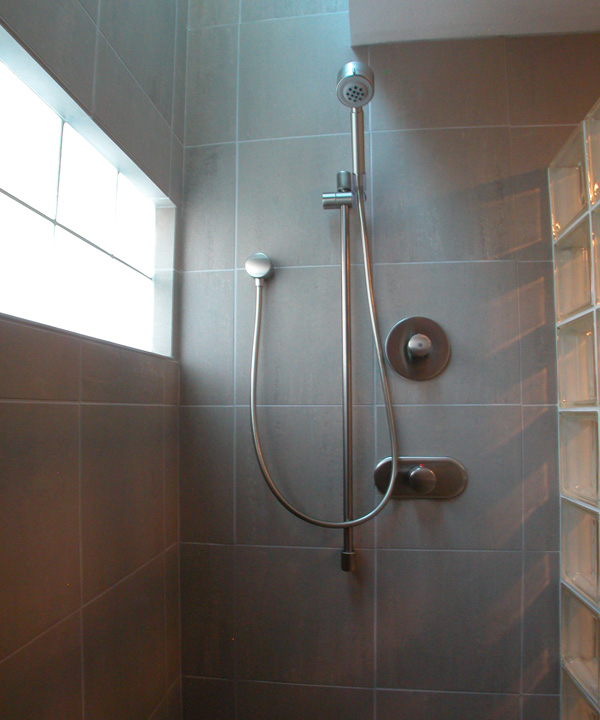 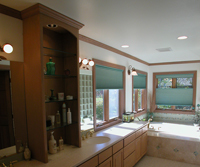 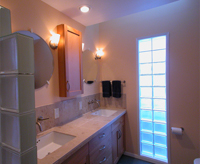 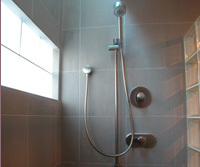 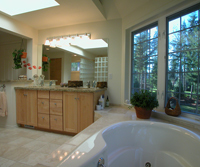 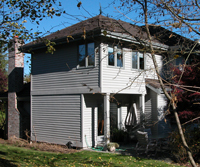 This was an addition to a two story house, which created a big Master Bath on the second story. 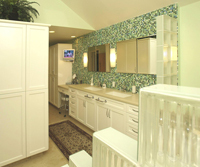 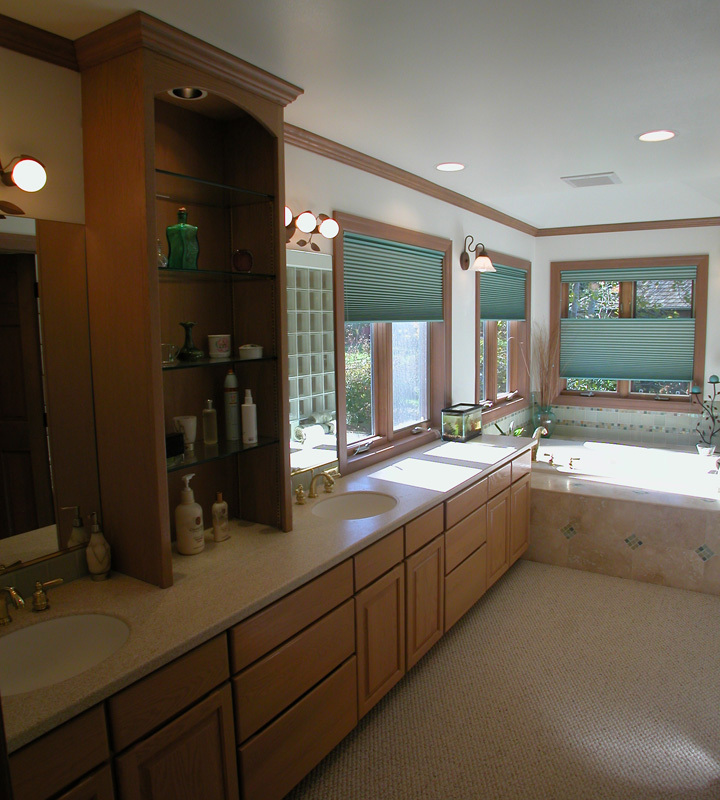 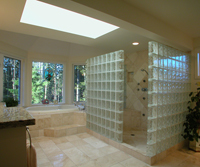 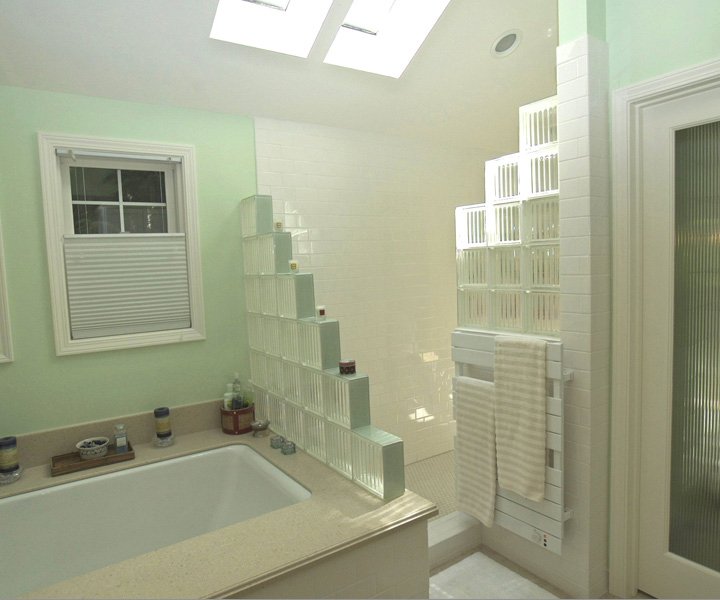 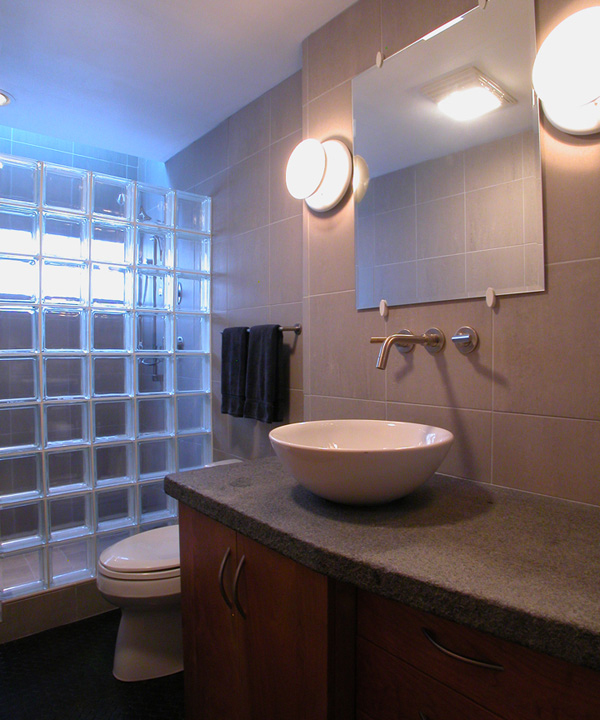 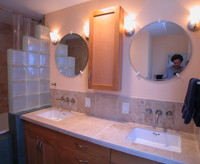 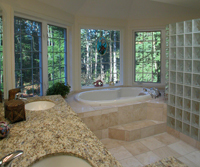 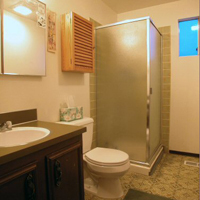 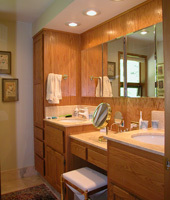 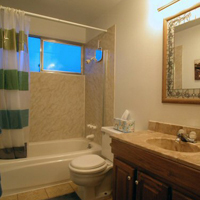 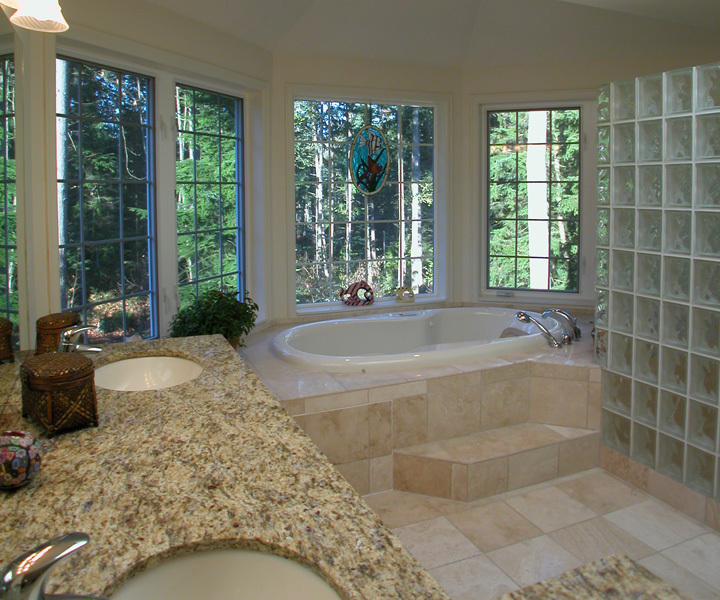 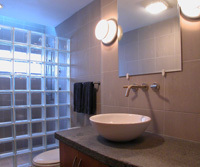 A big shower, big soaking tub and lots of storage space in the many vanity cabinets with two sinks.